The evocative moving images works of Ghanaian-American artist Akosua Adoma Owusu juxtapose audiovisual elements from different time periods, perspectives, and countries, to explore the collision of identities. She describes her work as articulating a “triple consciousness,” a concept that extends W.E.B Du Bois’ notion of double consciousness to examine the experiences of a woman and African immigrant navigating African, Black American, and white American cultural expectations. Represented by a diverse array of materials including reenactments of folklore, animated textiles, footage of weaving, hairstyling, and American commercials, the resulting films and videos are intensely affecting considerations of colonialism, globalization, and cultural power. Her works have been exhibited at museums and film festivals around the world. Our exchange about her films is below. Alison Kozberg: Your works — including Intermittent Delight (2007), which depicts close-ups of batik textiles alongside 1960s advertising—feature striking costumes and production design. What role do these elements and textiles play in your work and exploration of triple consciousness? Akosua Adoma Owusu: My film work on triple consciousness is an inclusive form of cinema that sheds light on the complexities of globalization and transnational identities in avant-garde forms while finding beauty in everyday life. When I produce these short films, I do so with the intention of making art. I’m usually the production designer for all of them. I sort of allow sourced material to dictate the form and content. With Intermittent Delight, I found a 60s Westinghouse commercial encouraging women to improve their lives by decorating their refrigerators with textured adhesive panels. I found it bizarre and interesting how in the States, customizing refrigerators was a new fad. At the time, people on the African continent were celebrating independence from colonial rule and wearing waxed print cloth, printed in Holland and Europe, as a symbol of ethnic pride. I animated the archive with fabric pieces that I collected from Ghanaian weavers and seamstresses. In my earlier film Ajube Kete (2005), which I shot in Ghana on 16mm, I was documenting the everyday tasks of our family house girl Ajube and I was fascinated by the social class system and power relations. She was wearing an Adidas T-shirt that came from fashion cast-offs from foreign charity shops. It was very subtle, but I was interested in how Africa becomes a dumping ground for discarded products from the West and how Ghanaians make use of these vast quantities of clothing bundles. AK: The Adidas t-shirt you mention seems particularly symbolically charged — it visualizes the ubiquity of American consumer exports, the financial inequities and exploitations that fuel a reliance on second hand clothes, and possibly a resistance to capitalist systems or refusal of the new. Do you perceive the power relations explored in the film as being unidirectional or multi-faceted? AAO: Yes, when I lived in Ghana in 2013, the government tried to ban imports of second hand clothing from the West, which is called “obroni wa wu” or “The white man has died.” Value is placed on consumer products that are thrown away in the West. The government also tried to stop reproductions of Ghanaian wax print cloth from Asian countries because they were effecting the market of our locally produced textiles. In Ghana, “casual Fridays” encourages office workers to support the country’s textile industry by wearing more traditional clothing. It definitely says a lot about the urgency in finding value in our own culture. Also, in the West, thrifting can be seen as a form of resistance to capitalist systems. When I saw my cousin Ajube wearing the Adidas shirt, I thought of the formal qualities in the green Adidas logo as part of a capitalist system juxtaposed with the natural environment of our backyard. I definitely see the power relations in Ajube Kete as being multi-directional — the visuals show her doing daily chores, and the sounds in the film are from actual recordings of different family members scolding her. The film shows the impact of colonialism in present day Ghanaian communities, specifically in personal domestic spaces, like our house in the village. AK: Both Intermittent Delight and Ajube Kete explore the relationship between types of labor and domestic spaces that have been traditionally associated with women and capitalism. To what extent do traditionally gendered industries such as fashion, cosmetics, homemaking, and textiles shape or reflect international power dynamics? AAO: Well, I was definitely thinking about labor and domestic spaces, subconsciously, as they relate to women in those earlier works because it is second nature for me to produce with what I know. More specifically, I was looking for innovative ways to explore capitalist systems that target Black people in domestic spaces. It’s an ongoing struggle, even within creative industries like film and art, which marginalize Black people who don’t fit quite neatly in categorizes considered the norm. These earlier films draw attention to gendered industries just as much as they point to the absurdity in their power dynamics. AK: We will be screening Split Ends, I Feel Wonderful in a program with Spike Lee’s Crooklyn. How has Spike Lee’s work influenced your own? AAO: I am so honored to have the invitation and to be showing my short film Split Ends, I Feel Wonderful alongside Spike Lee’s Crooklyn. I am inspired by a number of his films, which are extremely innovative and provocative as they have changed the way Hollywood sees the Black experience. Growing up, I owned a VHS copy of Crooklyn that I watched religiously because it was one of the first coming-of-age films where I saw a young Black girl as a reflection of myself. Like Spike Lee’s Crooklyn, my film Split Ends, I Feel Wonderful is set in the 70s, and is heavily influenced by music and semi-autobiographical lived experiences. AK: In 2015 you curated the program “Triple Consciousness” for Los Angeles Filmforum and included Ken Jacobs’ Perfect Film — an un-manipulated piece of historic news footage of people discussing the assassination of Malcolm X. I am curious about how this film’s subject, content, and mode of production, specifically the act of sifting through old footage, relate to your own work and the notion of Triple Consciousness? AAO: Yes, I did! I got to see Ken Jacobs’ Perfect Film in 2015 as a member of the Jury for Media City Experimental Film Festival in Windsor. Creating strictly from this idea that found material could be untouched by the artist, fascinated me. As I was receiving criticism from both Ghanaian and Black American audiences about Me Broni Ba, I ended up finding the ABC News portrait of Black American hairstyles in the 70s. I was obsessed with how its form of production and content looked similar to what I had filmed previously in Ghana. Foreign critics said that by shooting hair culture primarily in Ghana, I was not being inclusive of Black American hairstyles, while Ghanaians said that I was perpetuating Western perceptions of African culture as poor by shooting rural hair salons in an early ethnographic style. How does one manipulate a perfect find? I ended up using Split Ends, I Feel Wonderful as a metaphor for Triple Consciousness — the idea that I was searching for this existential crisis from worlds in Ghana and America. AK: A few scholars have connected the work of Jacobs, a Jewish filmmaker, to Walter Benjamin’s figure of the ragpicker, collecting society’s refuse. Do you perceive a connection between the circulation of textiles, a subject explicitly and implicitly explored in your work, and the actions of the found footage filmmaker? AAO: Yes, absolutely. I mean, one man’s trash is another man’s treasure, right? I guess Benjamin’s ragpicker can be seen as a working class job, collecting trashed materials that are being thrown away to be reused. Ken Jacobs’s Perfect Film is reclaiming history as a found footage film. With Intermittent Delight, I was definitely thinking about the intermittent movement of thread going through sewing machines and its relation to the intermittent movement of film running through 16mm Bolex cameras. I was interested in reviving these scraps of textiles from Ghana, and the archive advertisements from the American past in an avant-garde filmmaking process. I’m traveling across continents while trying to engage people in this moving format. This culture clash is also reflected in the circulation of textile production in Africa. I made the film using African and American societies’ refuse, and then the film is primarily shown in these high art spaces like museums and movie theaters. I believe the found footage filmmaker is in line with the ragpicker — hoarding and collecting refuse by activating history in this timeless medium and presenting it in a new context. AK: The act of styling hair and the figure of the hairdresser appear in a number of your films — Split Ends, I Feel Wonderful, Me Broni Ba (2009) and the forthcoming feature Black Sunshine. What attracts you to the figure of the hairdresser and the subject of hairstyling? AAO: As a Black woman and filmmaker, it is natural for me to draw inspiration from the figure of the hairdresser and the subject of hairstyling. As a child, my mother was a hairdresser for a predominately white hair salon called Fantastic Sam’s in Alexandria, Virginia. Me Broni Ba is based on my sister’s childhood experiences migrating from Ghana to America, and about the fraught relationship between images of beauty and power. I was particularly interested in Black hair culture as an art form in postcolonial Ghana, and how it is applied to the body. Split Ends, I Feel Wonderful is based on an ABC news report from the 70s on Afro hair culture in New York City. My upcoming feature Black Sunshine is a story about a hairdresser with an albino daughter, who longs to escape her frustrating reality. I used to be a printmaker, and my subject matter became colorism and Black hair politics after I discovered the writings of Kobena Mercer on hairstyling politics within Black culture. The topic of Black hair became the focus of my films as I transitioned from art-making to filmmaking. I believe that hairdressers and hair salons function like parishioners and churches and help people form support networks. By being experimental in form, my hair films play on the beauty industry’s advertising tactics to create anxiety in women and disrupt the Black appearance. AK: Would you speak more about how experimental form — be it through lyricism, the subversion of narrative causality, or the exposure of film’s material base — disrupts the ideology of the beauty industry? Do you believe some formal strategies are better suited for resisting hegemonic ideals than others? AAO: Ironically, my short films are resisting narrative conventions on the surface, but I’m also trying to carve space for myself in these industries. These series of hair films function as an accumulation of ideas that have a storytelling thread, so, my formal strategy is to be humorous and playful in experimental form. The process of producing multiple short films on a specific subject matter — such as the beauty industry — functions like chapters in a book. The formal strategy is to have a childlike rendering of political issues and the ideology of the beauty industry. For example, Me Broni Ba (My White Baby) is focused on Black hair culture in Ghana, but it’s also about self-discovery as well as a personal travelogue. Split Ends, I Feel Wonderful uses animated found footage and processed sound to accompany the silent images. White Afro, on the other hand, which is the last part of the series, is a combination of both previous works, where I’m hand-processing archival footage and using my mother’s story about working in these white hair salons as the focal point. For me, manipulating film reflects Black trauma within the beauty industry, but it also addresses the absurdity in these power structures with conflicting sounds and images. I’m heavily influenced by music and how so many slave songs had coded messages about the desire to be free. I enjoy playing with the juxtaposition of sounds and images to get audiences thinking about these tensions. I mean, the whole ideology of beauty and whiteness as the ideal, is a hegemonic system of control — making one feel inferior to others. I don’t believe in only scratching on found footage to subvert traditional narrative structure. My films are experimental, but they also have storytelling elements to them like narrative film presenting my marginalized reality. They aren’t really made out of an act of resistance as much as they are a way for me to insert myself into this history of narrative storytelling, and be innovative with the cinematic form. 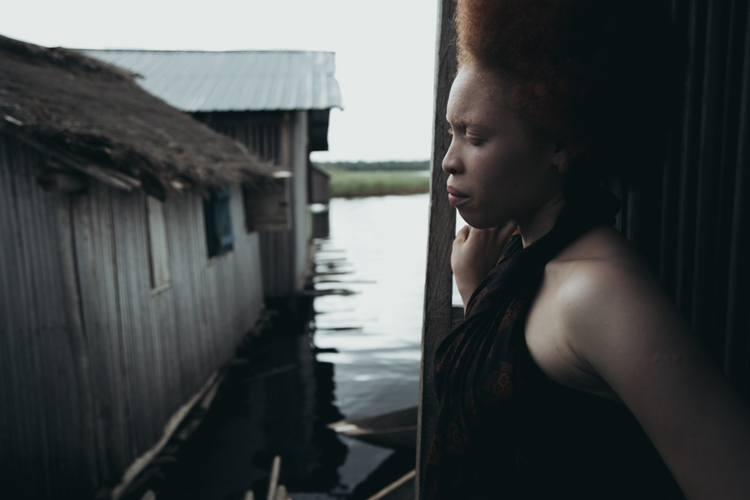 Still from Owusu’s short film WHITE AFRO (2019). Courtesy of Obibini Pictures LLC. AK: As you mention, your films effectively evoke Black beauticians’ roles as community leaders while also navigating the pain associated with beautification. What do you perceive as the relationship between beauty culture and empowerment? AAO: It’s quite interesting. Black beauty is pain and in capitalist societies self-adornment has become a profit-making activity, especially in the Black community. Historically, Black people have internalized this inferiority to Europeans in terms of standards of beauty, which has been projected onto us by society. While working as a post-production assistant on Nelson George and Chris Rock’s documentary Good Hair for HBO films, one of my responsibilities was to review found footage for the film. I was searching for new ways to produce films strictly from archival sources, so I was inspired to make Split Ends, I Feel Wonderful as a way to portray Black hair culture in America and its relation to race and beauty. The displeasure and pain of grooming Afro textured hair is familiar to many black people across the diaspora. I believe there is a relationship between Black hairstyles and empowerment. Split Ends, I Feel Wonderful draws attention to the suffering associated with grooming Black hair through the use of processed sound and image. My sound designer and I used natural sounds from salon environments and re-positioned a protest speech on resistance by Angela Davis — a popular hair icon of the civil rights era —for political commentary. 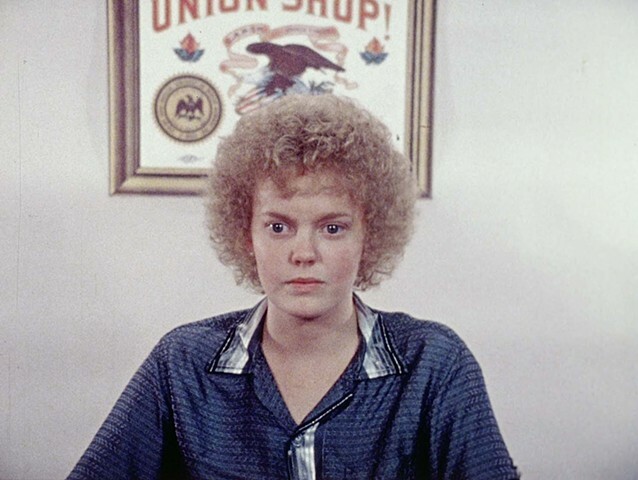 The third film in my series White Afro is based on an instructional video produced by the educational department of the Barbers, Beauticians and Allied Industries Association to offer curly perms or body waving services. White Afro offers a rare perspective on the Afro hairstyle as desirable to participants in these liberation movements, while expanding on the abilities of non-Black beauticians and barbers to use their shops as spaces for political change. AK: Did reading Mercer’s work or your experiences researching Black hair culture change your approach to representing your subjects? Do you film women differently now? AAO: Well, yes, it did actually. His writings on cultural appropriation and the politics of Black hairstyling definitely influenced my desire to use film for investigating hair as a subject matter, but I’m not sure if filming women differently was intentional. The sourced material determines how I’m going to use Black hair culture to explore new approaches to telling personal stories. I’m Black and a woman constantly looking for a creative outlets to keep producing work, and I was plagued with angst and fear of shooting myself. I wanted to prove to myself that I was an expert in my craft, so re-producing from archival footage was a formal strategy to build my confidence as a cinematographer. It doesn’t matter what format I’m creating on as long as I am being consistent with rendering time and playing with memories. As for filming subjects differently, sometimes I mix found footage with personally shot footage. Lately, I’ve been working as the sole cinematographer for experimental works and collaborating with other cinematographers for more narrative works. I’m more confident as a cinematographer and in filming subjects now than in my earlier works. AK: You have lived in Virginia, California, New York, and Ghana. How have beauty salons shaped the various landscapes of the cities where you have lived? AAO: I know! It’s so hard to believe I’ve lived in all of those places, but what I’ve learned is that beauty salons are social functions, especially within the Black community. Also, beauty salons in these different landscapes show the importance of hair care particularly for black women, racial identity and power. AK: In 2015 the phrase “the makeup tax” became shorthand to describe the financial impact of ideologies of beauty and a variety of culture commentators noted how the obligation to adhere to societal beauty standards causes women to disproportionately invest time and resources into their appearance. I am curious about the aesthetic value that Mercer describes in his work translates into financial value. Are beauty industries particularly fertile grounds for the exploration of triple consciousness because of the ways they profit from demanding beautification from women and people of color? AAO: Of course, they are, and it’s complicated. With the rise in popularity of the Kardashians and Angelina Jolie, it’s clear that the beauty industry places aesthetic value on ethnic features that have always been considered inferior to whiteness — fuller lips or wider eyes. Generally speaking, my exploration of triple consciousness isn’t limited to the beauty industry. It also explores other identities within Blackness such as feminism and queer identities, but has centered on power structures in the beauty industry. However, I am working on shifting away from this as my focal point. There is so much more to black aesthetics than exploring hair, fashion, and the beauty industry. Owusu pictured outside Ghana’s historic Rex Cinema. Courtesy of Obibini Pictures LLC. AK: The Nickelodeon Theatre is the only independent, art house cinema in the state of South Carolina. 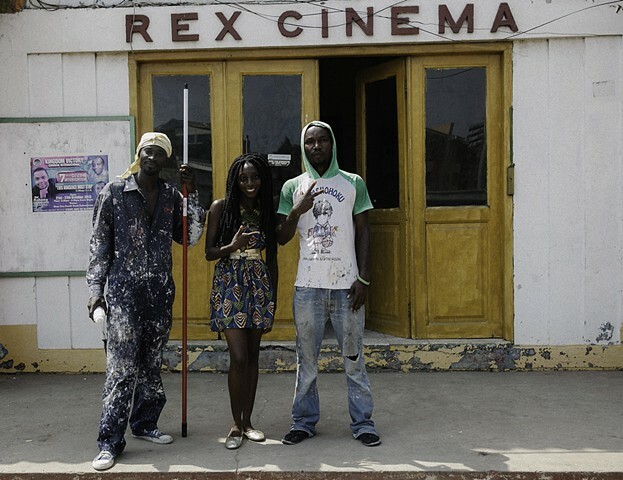 In 2013 you spearheaded a campaign to save the Rex Cinema, an art house cinema in Accra. What are the current status of your efforts there? What role do you believe art house cinemas cinemas can play in communities around the world? AAO: I’m going to continue my efforts to revive the Rex Cinema House in Ghana later this year. It’s definitely a long-term goal. I mean, I started that Kickstarter project at the tender age of 29, and believe it was a bit ahead of its time. Similar to the Nickelodeon Theatre, it’s basically going to be an independent cinema house in Accra, where independent filmmakers and programmers can exhibit work on the continent. Cinema houses are being shut down across the States, so you can only imagine the lack of support in African countries. Unfortunately, there aren’t infrastructures and sustainable systems in place to keep art house cinemas active. I think it’s important to preserve that communal aspect of culture in Africa and its connections to the world through stories for future generations to come. 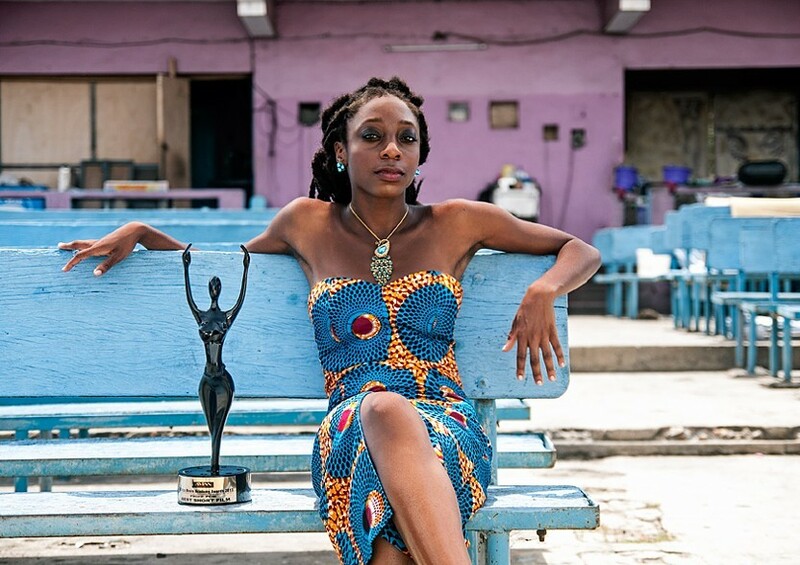 More information about Akosua Adoma Owusu and her films is available at akosuaadoma.com.